After deciding on the care and support of children, dividing property and assets can be one of the most painful and tension-filled steps in ending a marriage. 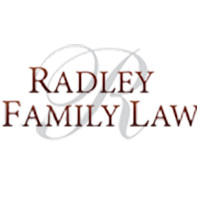 Our job at Rachel Radley Family Law is to support and guide you through the process. The law is clear: When you separate and divorce, property acquired during the marriage is subjected to what is called “equalization.” This principle is applied to most assets, with some exceptions such as gifts or inheritances. Difficulties can arise when the couple cannot settle on what was purchased, when it was acquired, the current value of the asset, and an equitable split of the assets. Dividing property can be quite complicated, especially if a couple has accumulated substantial assets together besides their primary residence such as a cottage, investment property, or a valuable collection of art or memorabilia as just a few examples. So it is a good idea to seek sound and impartial legal advice from a qualified separation lawyer. Our team of divorce lawyers are committed to ensuring that you understand the process and that your rights and property are protected. Unlike most other assets, the matrimonial home is treated in a special way. If either spouse owned the house before the marriage, and if you moved in as a married couple, the house becomes a matrimonial home regardless of who bought it. If the marriage breaks down, both spouses have an equal right to occupy the matrimonial home. If you purchased a home together after marriage, it is the matrimonial home automatically. Selling the matrimonial home during the marriage also affects property division. But occupying the home after a separation does not give you any other rights. Moreover, some special considerations apply to a matrimonial home: Neither party can sell, sublet or rent the property, or take out a new mortgage without the other party’s signature. . If there are children, the custodial parent may be allowed to stay in the matrimonial home for a period of time. This is the government acknowledging how difficult divorce can be on a family, and helping children deal with their changing situation by letting them remain in familiar surroundings. While most people focus on dividing cash and other assets, debts also are taken into account: Everything from credit cards and car loans to charitable pledges and a credit line. If it is a joint debt such as a mortgage, the couple is responsible for it together. But if a debt is not in your name, such as a bank loan for a spouse’s business, then you are not responsible for its repayment, but it is still taken into account on equalization. A word of caution: In Canada, common-law relationships are not subject to the same property division rules as a marriage. In essence, each common-law partner keeps what property she or he brought into the relationship. For example, there are no equalization payments. So be sure to read about ending a common-law relationship. Protecting what property you brought to a common-law relationship is a vital part of what we do because family is important to you and me.